Congratulations on your new home. Moving is an exciting time but also one riddled with uncertainty if you suffer from indoor airborne allergies. Keep reading for tips on how to clear the air of your new home before you sneeze and sniffle your way into regretting your decision. Your best and first line of defense against allergens is to control contact with them in the first place. The easiest way to do this is by airing out your new home. Open the windows for a few hours to let toxins out and fresh air in. Once the air is clean, take steps to keep it that way by changing out the previous owner’s HVAC filter. The Mayo Clinic further suggests swapping the particle filter in all units at least once per month. If you have a tendency to forget routine maintenance items such as this, subscribe to an air filter delivery service, which will ensure you have exactly what you need and will serve as a reminder. In addition to your HVAC filter, consider investing in an air purifier, which will remove even more irritants. There are several types of air purifiers that can improve indoor air quality. Sears lists HEPA, PCO, and UV air purifiers as effective for those with allergies. Each works differently so do your research and determine which one – or which combination – is right for your family’s health. A damp home offers ideal conditions for mold, which can cause serious health problems in those who are sensitive. Before moving in, fix leaks, clean up prior water intrusion, wash the hood exhaust fan in the kitchen, and make sure your bathroom and clothes dryer vent to the outside instead of the basement, attic, or crawlspace. DampRid and other moisture mitigation products can help control humidity in small spaces, such as the bathroom, basement, or attic. Moisture can hide in places you might not consider, such as the kitchen cabinets, and especially under the sink and above the stove. These damp cabinets can harbor dust, mold, and other allergens. Clean them out as part of your move-out and move-in cleaning. This will also give you an opportunity to check for signs of pests. Most states require curtains and other window dressings to remain with the home as part of the sale unless otherwise specified. If curtains are up on move-in day, remove and wash them immediately. These and other overlooked fabrics, such as throw rugs and couch pillows, can hide dust, dander, and debris. Dust also comes from the carpet and builds up in the corners, along the baseboards, and in rooms you don’t frequent. It is not enough to simply vacuum the majority of the room. 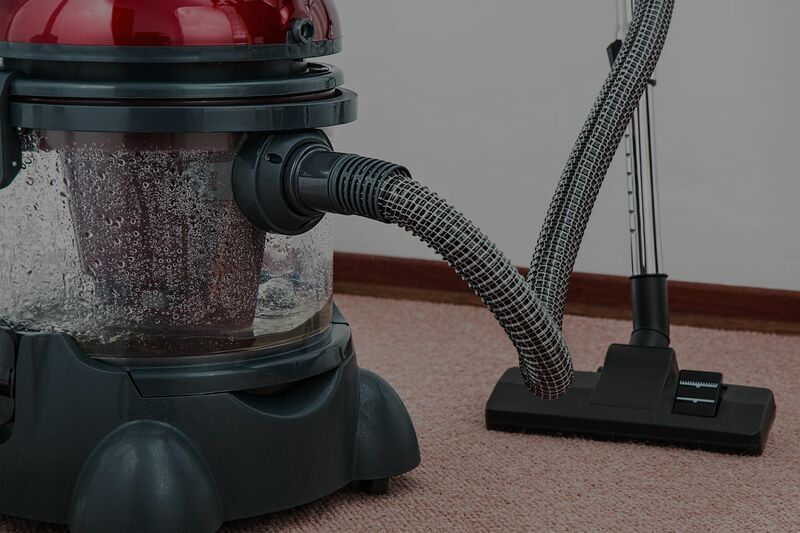 Pay attention to the corners by using a vacuum attachment to eliminate dust where it tends to collect. A microfiber towel should be used to wipe dirt from window sills, baseboards, and other hard surfaces before you move in and after each vacuuming. If your new home’s previous owners had pets, vacuuming might not be enough. Steam clean and de-flea the carpets to kill any of these tiny parasites that may not have gotten the eviction notice. Failure to handle issues on the floor will only result in an over-abundance of airborne particles that get kicked up as you move in and run the air conditioner or heater. If you’re using any type of chemicals to eliminate fleas or other pest, make sure these are long gone from the air before moving in. Allergies are no laughing matter and should be taken seriously by every member of your home as well as your guests. Establish house rules that will contribute to your family’s health. This should include no smoking, no pets if you have animal sensitivities, and no food left out, which can attract cockroaches, a common allergy trigger. There is a level of uncertainty that comes along with moving into a new home. But when your health depends on the quality of the air, the above tips can help you eliminate some worry. So roll up your sleeves and enjoy a clean and healthy new home.